After receiving the spirit of excellence following a prophetic declaration, Mr Phello Moalosi experienced new dimensions in his career. “I started to do things that I had no prior knowledge of”, said the 35 year old. 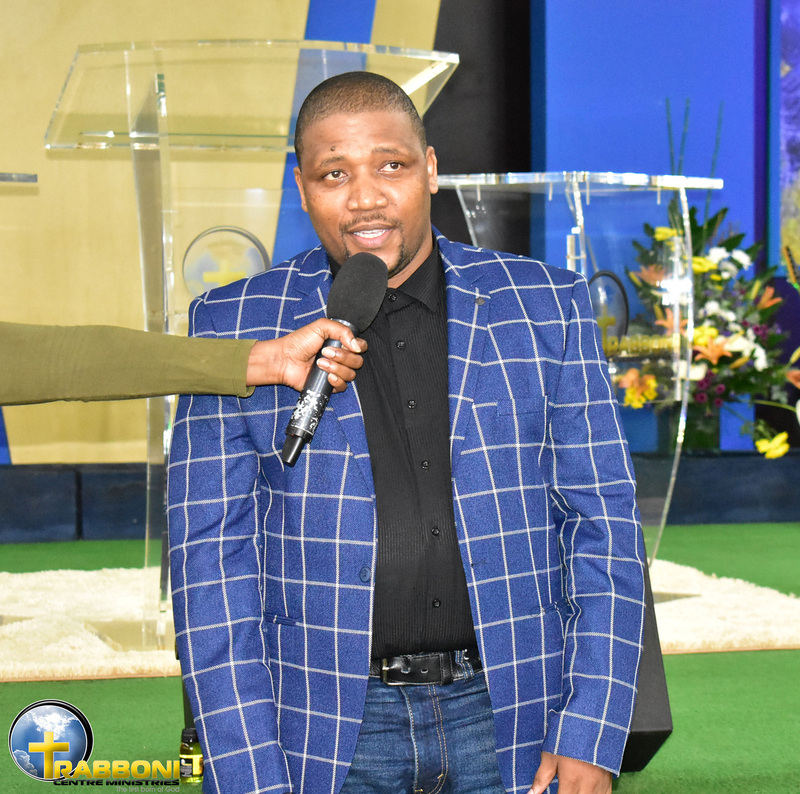 Mr Moalosi told congregants during the Friday School service at Rabboni Centre Ministries that his career took a new turn after the prophetic word the man of God, Prof Lesego Daniel, declared during the months of May to July 2017. Mr Moalosi said that he works as an Automation Engineer and designs systems. He said that since the prophetic word, he started taking projects that no other employees were prepared to undertake. “I did more research, modified and designed programs for effective functionality”, he said. “In one project, I consulted external experts for evaluation and advice. I received positive feedback and was able to execute a good job thereon. The project was profitable for the company”, said Mr Moalosi. However, every success comes with its own challenges. Mr Moalosi said this was no different as he began facing persecutions. Mr Moalosi said that he was charged with disclosing confidential information belonging to the company to external competitors and summoned to attend a disciplinary hearing. On 28th August 2018, Mr Moalosi said that he came to see the man of God about the charges against him. The Man of God told him all is well and gave him bottles of the anointing oil Treasures of Darkness to administer to himself. The hearing duly sat on the 30th August but found out he was the only one who attended, as the complainant and prosecutor in the matter did not show up. The matter was therefore postponed. At the second sitting of the disciplinary hearing, the prosecutor who was one of his managers, was supposed to vigorously pursue charges against him. Instead he gave a glowing report about him and conceded that Mr Moalusi actually benefitted the company as it reaped a substantial financial reward by his work. Further, he stated that he was blameless for consulting external experts. The chairperson therefore dismissed all the charges against him and was found not guilty. Mr Moalosi also shared another testimony that came as a result of another prophetic word by the man of God. This time the man of God declared that we will not need to apply for jobs but the job will find us, Mr Moalosi said. Two weeks after the declaration, Mr Moalosi said that he received another job offer in September 2018. “I had rejected this job offer before in June and accepted a revised offer in October 2018”, he said. He started at this new job at a company in Boksburg in November 2018. It was not long before he started to experience persecutions in this new job as well. But God came through for him with job offer from another company in Lanseria. Mr Moalosi said that he accepted the offer. On arrival at his new job, Mr Moalosi said that he was assigned to commission a project in Cape Town. He said that he did not know the system he was supposed to work on and therefore did not know how he would accomplish this task. Mr Moalosi said that he turned to his faith and declared that he is the son of the storm rider and knows how to do the job. On arrival in Cape Town, he found favour as the people who were building the components for the project explained to him how the system worked. “I was able to then program the system and it is running perfectly”, said Mr Moalosi. When we thought nothing could top these testimonies, Mr Moalosi shared how a teaching about giving impacted his finances positively until he was able to settle all of his debts without difficulties. “I took this word and applied it to my life. As a result, I was able to pay off all my debts”, he said. Mr Moalosi also shared what God was doing in his ministry. Mr Moalosi said that his ministry was not doing well. There was no growth. “Attendance was inconsistent and there were less than ten members who would attend services”, he said. Mr Moalosi said that he came to see the man of God regarding this issue. The man of God gave him the anointing oil and said all is well and that this was training for him by God. “I have now found peace and love my congregants the way they are and minister to them with contentment”, said Mr Moalosi. “Our membership has now increased to over thirty members and in some services there are more than forty members in attendance. Furthermore, whenever I minister, I see the man of God standing next to the pulpit touching the corner of the table on its left side in my church, with a smile on his face”, said Mr Moalosi.